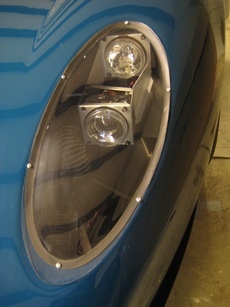 Clear parts such as headlight lenses were to be sealed against the body panels by means of flexible strips. The hinged body parts had to be sealed against the fixed parts in the same way. 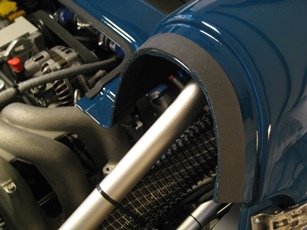 Armaflex AF was selected for the sealing material; this highly flexible foam material is available as tape rolls. Isotal Isolatie kindly supplied AF/Armaflex tape free of charge for this project. Thank you Isotal!